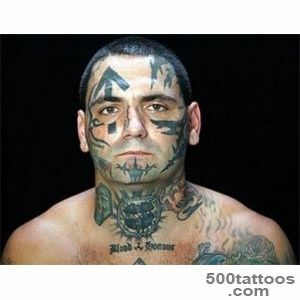 Nothing indicates gang affiliation as tattoos . 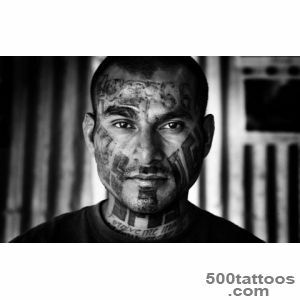 The gang tattoos laid symbols denoting allegiance to a particular group , and describes the biography of the master of tattoos . 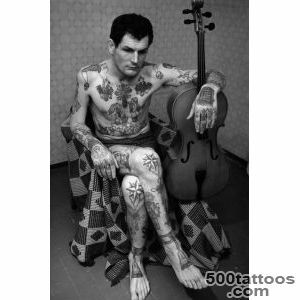 But in recent years , thanks to social transformations and technical progress of the value and significance of these tattoos has been tempered ,partly by going to mass culture ( in fact, the same thing happened with the Russian prison tattoos ) . 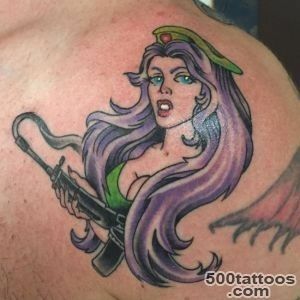 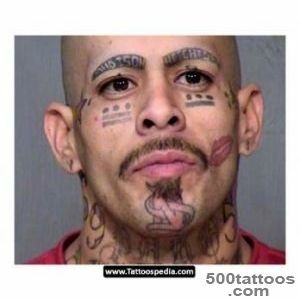 Tattoos are believed to have existed since the beginning of mankind. 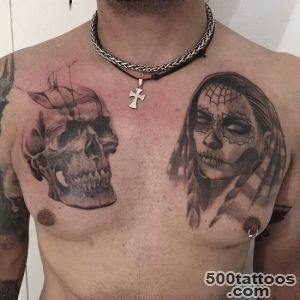 The oldest tattoo was found on the human mummy found in the Austrian glacier , which is believed to have died around 4000 BC We do not know ,Was this old man a criminal, one thing is - most tattoos , recorded history have been linked to criminal elements and secret societies . 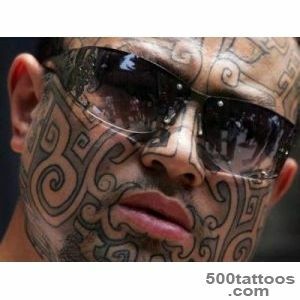 Ancient Romans tattooed slaves and criminals as a means of identification.In Japan, a long time do tattoo criminals as a punishment for breaking the law . 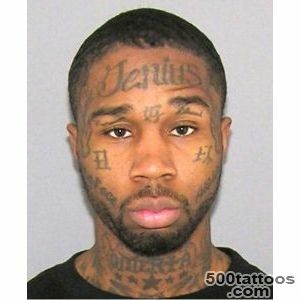 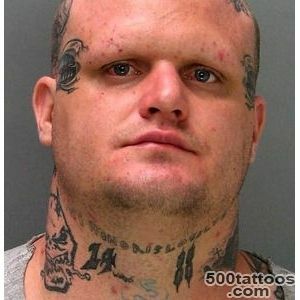 In the Mediterranean region in the 3rd century BC criminals also often tattooed or branded symbols pointing to the crimes committed ; sometimes the victim's name is also applied to a criminal forehead.But while the company is often used to refer to tattoos tattooed criminals , many have adopted tattoos as a way to denote membership of a particular subculture . 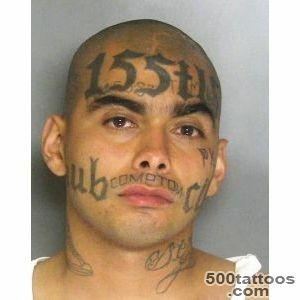 Being outside the law can be a source of pride as well as shame . 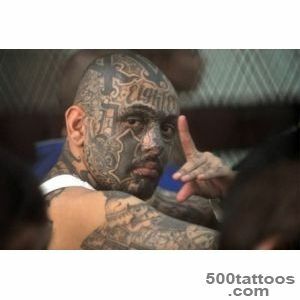 The gang members , in particular , are proud of their tattoos showing ,they are outside the bounds of normal society. 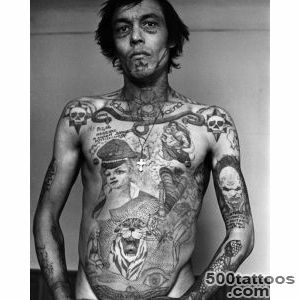 Until recently , tattoos were used by members of gangs , circus actors and prisoners and sailors - the subculture often overlap with each other . 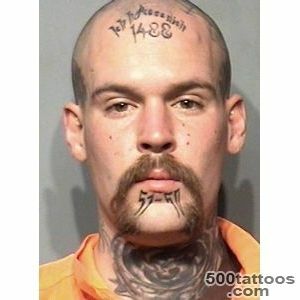 For members of the gang tattoo - a way to indicate membership in a gang and to demonstrate that they are not outside of society . 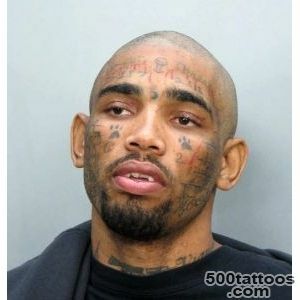 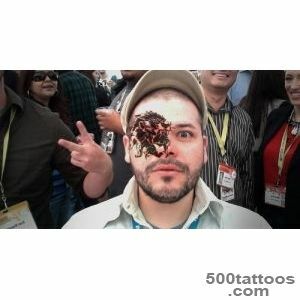 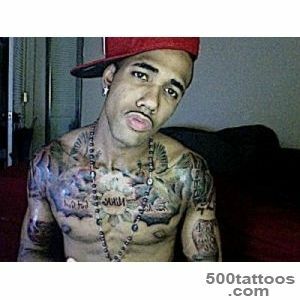 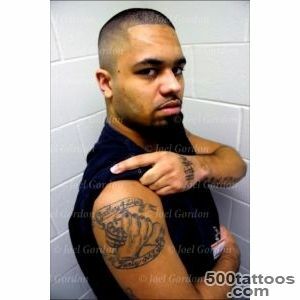 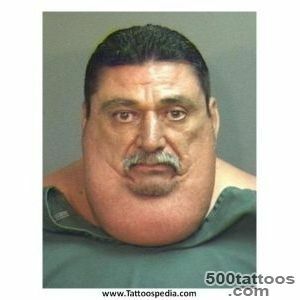 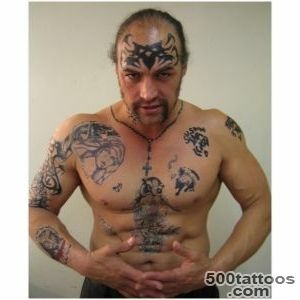 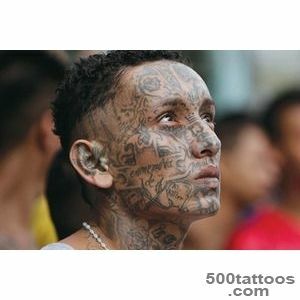 The larger and more visible tattoos ,more difficult to hide it , the more its owner is well respected among gang members . 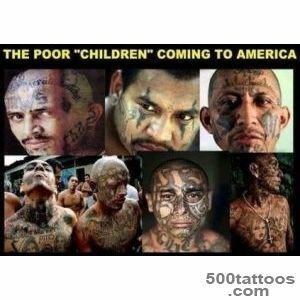 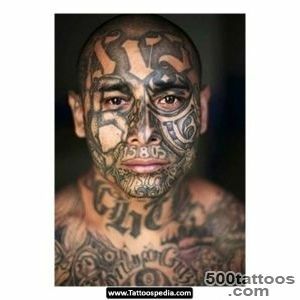 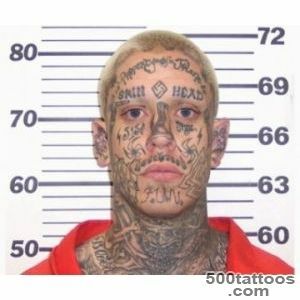 For this reason , often gang tattoos found on the most visible parts of the body : the hands and face. 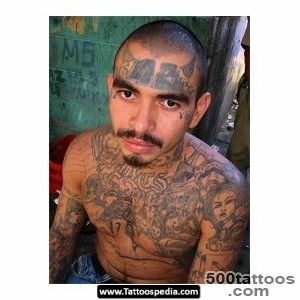 For example, a member of the «18th Street» gang Sergio Ochoa struck tattooed " 187 " (art for the murder of the California Penal Code) above the eye afteras he was found guilty of the murder of a member of a rival gang . 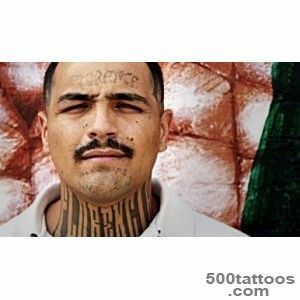 Often there are tattoo among members of Hispanic gangs - Pachuco cross , placed on the hand between the thumb and forefinger . 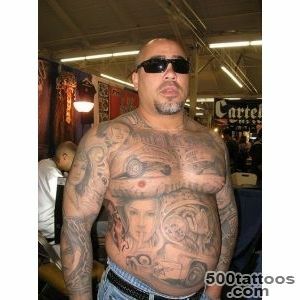 In addition , in the same place often make three points in the form of a pyramid , symbolizing the slogan «mi vida loca» ( my crazy life ) . 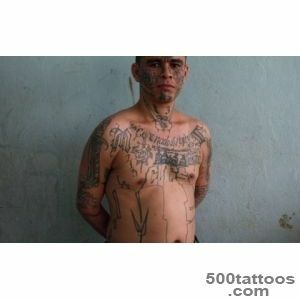 Gangs of SouthEastern Asia use the same tattoo of the three points as the designation «To O Can Gica», or « I have nothing do not care " in Cuban prisons is also a tattoo means that its support belongs to the caste of thieves .